The first ever Invictus Games, presented by Jaguar Land Rover, will be brought to a breath-taking finale this evening by the Foo Fighters in one last spectacular performance at an event that has seen an international audience captivated by the 413 ‘wounded warriors’ at its heart and thirsty for more. 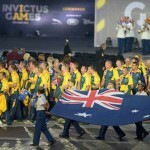 The star-studded Jaguar Land Rover Invictus Games Closing Concert on Queen Elizabeth Olympic Park is a fitting climax to an event that since Wednesday’s military-themed curtain-raiser has seen crowds of 65,000 pack venues made famous by the London 2012 Olympic and Paralympic Games. 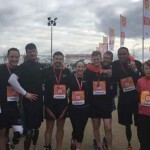 Millions more tuned-in to BBC to be gripped by the achievements of wounded, injured and sick Servicemen and women from 13 nations. The 400+ medals awarded across nine adaptive sports are just half the story as the sporting action of the past few days has been as inspiring as the stories of those taking part. 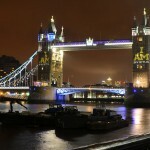 The watching world has responded by showing their support – in venues, through Twitter and Facebook, and on the streets of London – backing the competitors and a concept brought to the UK Capital by Prince Harry. For competitors and their 1,200 travelling friends and family it has made for an incredible experience. 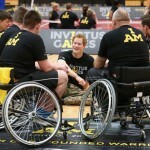 Launched by Prince Harry just six months back, the Invictus Games set out to use the power of sport to inspire recovery, support rehabilitation and generate a wider understanding and respect of all those who serve their country. The Army Captain has spoken passionately about how this has been about more than four days of incredible sport. The legacy of the Games is now in discussion. I can’t sum it up in words. We’ve been humbled by the support everyone has given us. We just want to say thank you to everyone who has travelled from all over the world to be here in London, to get behind all the competitors and show their support. This has meant so much. Sir Keith Mills thanked partners and sponsors, including presenting partner Jaguar Land Rover, for their support in delivering the Invictus Games on budget and on time. They were organised with the support and backing of The Royal Foundation of the Duke and Duchess of Cambridge and Prince Harry and the Ministry of Defence. Queen Elizabeth Olympic Park and the Lee Valley Athletics Centre hosted the events thanks to the Mayor of London Boris Johnson, the London Legacy Development Corporation, the Lee Valley Regional Park Authority, DCMS and Sport England.